What is the Importance of Employee/Customer Involvement in Six Sigma? There are a few things that will cause a company’s performance to suffer, like non-driven and unmotivated employees. True, your workers may come to work on time each morning and not clock out until 5pm. Still, are they motivated enough to actually do their work effectively? If you do not enforce a corporate culture that encourages all your workers to work towards achieving the same organizational goals, how can they feel engaged? This is an issue that can easily make or break your company at a crucial time. A responsive company is one that is made up of fully involved employees. Within such a company, each employee takes responsibility for the customer experience. No matter if they actually meet with the customer directly or not, they still have an impact on revenues and customer retention. Involvement of employees will automatically result in customer retention. The initial step towards increasing employee involvement and engagement is to find a way to measure it. Similarly, the method you use to measure employee engagement determines the accuracy of your data. For many organizations, the easiest way to find out the employee engagement rate is by conducting surveys of the employees. Short and sweet, this method should help you assess exactly how employees see your corporate vision and the role they see themselves taking within it. Besides, employee surveys also help in assessing the employees’ contribution toward your organization’s productivity and its overall performance. This is data that can be collected by your lower Six Sigma professionals – Green or Yellow Belts. They can also concisely organize and accurately display the results of the study. Once you have your data at hand, you can move forward and make your changes based on it. The data collected is used to advise your team and project managers on areas that need to be improved to enhance employee involvement. The project managers report to upper management and are normally Six Sigma Black Belts or higher. Studies have shown that most organizations that have high employee involvement rates also retain a larger percentage of their customers, leading to increased revenues. Similar to the discussion regarding customer retention vs. customer acquisition, this is one that would appear to have a painfully simple solution – just get the employees more motivated! Unfortunately, this is often much easier said than done, in most cases. This is because a recent study by a management firm showed that, out of the employees polled, only 30% seemed genuinely engaged, while 80% said that they were coerced into completing their tasks. Involving employees is an activity that takes a village. Unfortunately, many companies simply leave engagement of employees to HR and leave the department to its own devices in dealing with it. In reality, it is an initiative that needs to be taken by everyone within the organization – setting up a purpose, letting everyone within the organization know the purpose, arming employees with the tools and skills to achieve the purpose and, finally, rewarding them. This should start from senior executives and trickle down to management and finally to all employees. Every part should feel like they have ownership of the customer experience. What is the reward for cultivating employee involvement? Customer satisfaction is much higher in organizations which proactively cultivate a culture of engagement and ownership among employees. 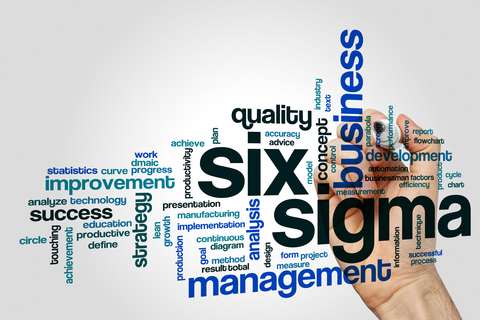 If a Six Sigma implementation is to be successful, engagement has to reach each level of the organization and run through all its processes. This fact is especially true in the case of employees, since engagement is necessary if maximum return on investment in the Six Sigma implementation is to be realized. Involvement of employees is largely driven by an emotional commitment and connection which employees feel with regard to the organization and its corporate vision. The post What is the Importance of Employee/Customer Involvement in Six Sigma? appeared first on Shmula. Take the survey: How customer-obsessed are your Operations?